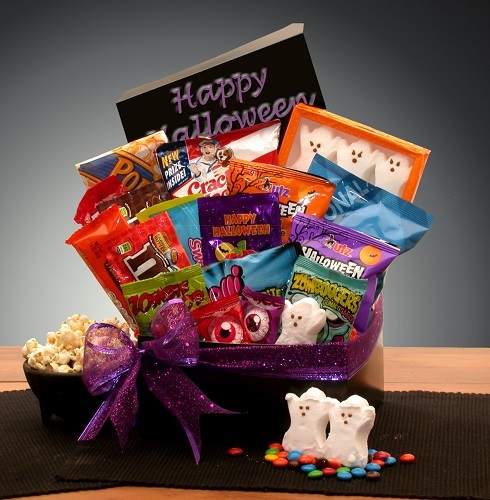 Send some Halloween goodies to your favorite Trick or Treater with this Candy Crush Gift Box. It is packed with a spell binding selection of favorite candies. Do you know a little goblin that has a big crush on candy? This delicious Halloween Gift box is the perfect gift for all those teenagers on your list that think they're too old to trick or treat anymore. It's a wonderful and thoughtful college student gift or a loved one far away, they're all sure to gobble this gift right up! Gift comes closed and sealed as a care package and is tied with a hand tied Halloween bow, measures 8x4x4.